Ah...spring. Skies are blue, weather is breezy, flowers are blooming, and....everything is covered in yellow, awful, pollen. Pollen is the arch-nemesis to allergy sufferers in Florida, and if you are one of them, you know all too well the weeks of sneezing, scratchy throat, itchy eyes, and stuffy head that come along with the season. While it's common to have these symptoms when you are outdoor around the environmental factors that trigger your reaction, it's unfortunate when you begin to experience these symptoms inside your own home. Change your air filter OFTEN. While the recommended filter change is once monthly, many people let their filter go much longer than this, especially since companies are marketing "long-lasting" filters that brag about good air quality for weeks without needing a change. This is simply not a good idea, especially if you suffer from allergies. Your best bet is to purchase filters targeting major allergens like pollen and pet dander, and change them out once a month at the least. If you're still noticing symptoms, it might be worth changing your filter more often during the heavy allergy season. Vacuum frequently, using a HEPA filter. Your vacuum could be a huge asset during allergy season, and it's worth purchasing one that aids in removing allergens from your fabric surfaces, carpets, etc. and keeping them contained. Look for a vacuum that has a HEPA filter to get maximum benefit. Vacuum carpets daily, and if you have pets, the furniture as well. Vacuuming and/or washing drapes and fabric surfaces monthly during allergy season is also a good idea. Close those windows! We understand that it's temping to leave windows open when the air is breezy and you can cut some energy costs by giving your AC a break, but if you have allergies, this a big problem. Opening your windows allows all of the allergens floating around outside to settle right into your home, triggering your symptoms in a major way. Instead, use fans, light-blocking drapes, and your thermostat settings to control energy costs and stretch the cool air farther. Remember that proper AC maintenance is also key in keeping your home's air quality at its best. Experienced techs can help you identify areas that need work, and can keep your system going strong all year long. Winter Haven and Lakeland residents know that Ridge Energy Savers is the number one trusted source of HVAC knowledge, and our expert local technicians and customer-centered service keep people calling us back again and again. From maintenance to repair and replacement of your system, we are ready and waiting to help. Give us a call to schedule your appointment! It's a predicament you've likely been in at one time or another if you live in Florida: the AC goes out after hours or on a weekend, and you're left trying to decide between paying after-hours fees for an emergency diagnostic visit or suffering without AC until regular business hours. We know this is frustrating, and we also understand the misery of spending a night (or worse, a summer day) without AC in the humidity and heat that comes with living in the Sunshine State. While we don't advocate DIY AC repair (one mistake can cost you thousands!) we do believe in giving our customers some simple diagnostic tools to help them decide if their AC issue warrants a call, or if it's a simple tweak that they can do on their own to get their system up and running again. Here are a few scenarios, and tips from the pros, to help when you are faced with the question: "To call, or not to call?" Your AC is cooling unevenly or not cooling well throughout your home. If your system is running, but the house isn't cooling (or is cooling unevenly) it could be as simple as a dirty AC filter. Given enough time, dust and dirt can built up on your filter causing restricted air flow. Not only does this significantly lower your unit's efficiency, but it can lead to long-term damage to your system (like ice buildup on coils) if not taken care of. If you notice that your system just isn't meeting your temperature expectations, try switching out your filter first. If you don't notice improvement, it's time to call in the pros since it could be sometime more serious, like a coolant problem. You notice that your AC unit is leaking. This is never a DIY option, so you might as well pick up the phone and call us! Leaking from your AC unit can actually be due to one of several problems, including ice blocking the drain line, but all of the potential issues will warrant a visit from your AC tech. Your AC is turning on/off at the wrong time, or isn't maintaining the desired temperature. Before you panic, believing that your AC unit is getting ready to die and require a total replacement, take a peek at your thermostat. When it comes to your HVAC system, the thermostat is essentially the "brains" of the operation, and your means of controlling the temp of your home. If the thermostat goes out, your system won't be able to operate properly, and won't be receiving the signals to turn on/off as needed. This problem is seen frequently now with the growing popularity of smart-home systems and wi-fi thermostat options. If the thermostat gets booted offline, or if your internet is having trouble, it can affect your thermostat and therefore affect the temp of your home. By checking the settings on these things first, you can save yourself the drama of a call to the AC techs! If all seems fine with your thermostat, then it's time to call your local HVAC provider. You smell burning when you turn on the heat. We know, you might have lived in your home for years and never used the heat...it's something many Floridians face! When the temps do drop though, and you have to crank up the warm air, it can be alarming if you smell what you think is something burning or melting within your system. However, you likely don't need to worry. Dust builds up on your system, and when you fire it up, that dust starts to burn off for the first few minutes. However, if you continue to smell a strong burning/melting scent, or if you notice smoke coming from anywhere in your system, shut it off and immediately all your local HVAC service. It's better to be safe than sorry! We hope this helps you feel a little more confident in knowing when you need to pick up the phone and call for help, or tackle the troubleshooting yourself. Polk County residents know they can call on Ridge Energy Savers for all their HVAC needs, no matter the time of day (or night). Our emergency services mean you never go without heat or AC, and you know you're getting the very best in pricing and service. Give us a call the next time you need a little help keeping your cool! 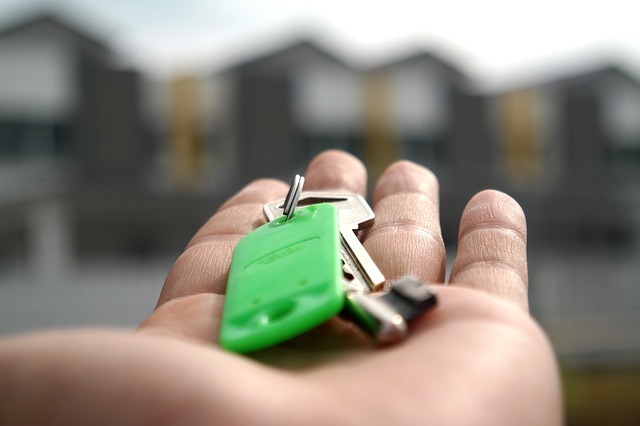 2019 is here, and while it's a fresh start for all of us, it's especially "new" for those who have recently moved, or are preparing to move, into a new home. Moving can be stressful, but it's also exciting. Perhaps you're upgrading to allow for more space for a growing family, or maybe you're downsizing now that your children have left the nest. For some, a move is necessary because of relocating thanks to a job, or family needs. No matter the reason, getting to know a new home takes time, and as many of us have found, each new house comes with its own set of quirks and its own "personality." While you can take your time getting to know your new home in many areas (like learning how to skip the spot in the floor that squeaks in the nursery, or how to close the kitchen cabinet just right so it doesn't pop back open), there are a few parts of your home that need to be addressed up front. Yes, a home inspection is required of the majority of home buyers thanks to a mortgage, but it goes without saying that not all inspections are created equal, and more than a few home buyers have been unpleasantly surprised by things that their inspector should have caught but didn't. One of the areas that can cause a big issue for home buyers here in Florida is the HVAC system. As Floridians we rely on our AC almost 365 days a year, and if you purchase a home with a system that just isn't up to the challenge of cooling your home, you could be in for a miserable move-in day. So, how can you protect yourself against an AC disaster? First, consider paying for an HVAC inspection before you sign on the dotted line. Yes, if you end up not purchasing the home, you won't get that money back, but considering that being slapped with the bill for an entirely new AC system after-the-fact could cost you upwards of $5,000 or more, it's worth the peace of mind, especially if you're serious about the house. Unlike a regular home inspector, having AC professionals do an inspection on just the HVAC system means you can have confidence that the system is either ready to go (and you'll likely be given an "average" lifespan remaining on the system) or you'll be told that you need a new one soon and will need to factor that into your closing deal. If you already purchased a home, but didn't get the AC inspection done beforehand, it's not too late! Having an inspection done immediately upon (or shortly after) moving in can give you an idea of what shape your system is in, and what you can do to make it last longer, and work more efficiently. A professional HVAC tech can tell you if any parts are staring to show major wear and need to be replaced to extend the life of your unit, if the system needs to be cleaned, if the thermostat is faulty/outdated, etc. Residents in and around Polk County trust Ridge Energy Savers for all of their AC needs. From inspections and repairs, to full system sales and installation, we come to the rescue when you need help keeping your cool. We're ready and waiting to help YOU! Summer might be coming to an end for many people around the U.S., but for those of us in Florida, we still have many more weeks of warm temperatures left. Because of our year-round mild climate, and many months of above-average temps, our energy bills tend to be much higher than those of our northern neighbors, and over time, it can put a strain on your budget. Who really wants to spend their hard earned cash on an AC bill? Call in the insulation pros! Having a professional company come in and add insulation to your attic and/or crawlspace can lower your energy costs significantly since your home loses much of its cool air (and harbors a lot of heat) in these areas. By investing in the pros instead of making this a DIY project, you're protected in the case of something going wrong, and your insurance will still be viable. Invest in those curtains you've been eyeing. By covering windows, glass doors, and other areas of your home where sunlight tends to be an issue during the day, you'll lower the temperature of the room and therefore will lessen the amount of energy needed to cool the space. It's no secret when you're outside that it's cooler in the shade than in the sun. The same is true inside your home! When it's time for dinner, take it outside! Cooking outdoors is a wonderful way to lower energy consumption in your home. By throwing dinner on the grill not only are you saving energy by not using your appliances, but you're also keeping your home cooler, meaning your AC runs less and saves you some cash. Replace your filters. Perhaps the easiest and cheapest way to lower your bill is by replacing your AC filters routinely. Monthly filter changes are suggested, as this keeps your system running efficiently and therefore it doesn't need to run as long. AC maintenance is key in keeping your energy bills low, and Ridge Energy Savers is proud to offer maintenance services to the greater Polk County area. Our routine inspections check coils, coolant levels, connections, and even the filters themselves! By catching problems early, you keep your system at its very best, which saves money in the long run. Give us a call and make your appointment before your next energy bill comes in. AC maintenance is a big part of Ridge Energy Savers, and all of our customers trust us to make sure their AC system is running at its best all year long. We do this by checking freon levels, making sure coils are clear and in good shape, checking lines for any freezing, etc., and, of course, we change the filter when we visit! In addition to our maintenance services, we also offer suggestions of how you can maintain your system, by changing the filter monthly, keeping pet hair and dust vacuumed up to assist your system in keeping the air clean, and by checking seals on doors and windows to ensure that your system is over-working to warm or cool your home. However, there is a whole part of your HVAC system "behind the scenes" that rarely gets attention and isn't thought about much, and we think it deserves a moment in the spotlight. We're talking about your duct work. Surface dust matters. The vents leading from your ducts into the various rooms of your home are just as important as the main grate leading to your filter. However, these don't get cleaned as often since they are usually located on or near the ceiling in many houses and tend to go unnoticed until they are dirty enough to bring attention to themselves. Unfortunately by the time they reach that point, your ducts could be full of dust as well. Vacuum vents routinely along with the rest of your home to keep dust buildup to a minimum. In addition to the surface dust, you can also remove vent covers and use a heavy duty vacuum (like a shop vac) with an extension arm to reach all dirt and dust directly around the inside area of the vent. Your ducts need cleaning too. This is not a DIY job, and is something you need to leave to the pros. Professional duct cleaning is done with a commercial grade vacuum system, attached to a truck. The hoses use a system of rotating extensions and brushes to thoroughly clean out your duct work and remove all dirt, dust, and grime that have built up over time. Doing this means cold air reaches your home's rooms more quickly and that means your AC runs longer. In other words, you get more bang for your buck. Additionally, it improves air quality in your home which reduces allergy and breathing issues brought on by airborne particles. Duct cleaning time frames vary, but your AC technician (that's us!) can suggest how often you should invest in hiring a cleaning service. Watch for ducts during home improvement and/or attic usage. Duct work is often intertwined through ceiling and floor joists, and in your attic, which means you could come into contact with it when you are doing home improvement or working in your attic space. Try to give some space around ducts to avoid damaging them, and if you do accidentally have a run in with one and it ends up with a tear or dent, it could be worth having it checked to avoid any major damage to your overall HVAC system. Ridge Energy Savers is THE trusted AC company in the greater Polk County area, and we want to see your entire system at its best. Investing in a maintenance package with us ensures that you have someone ready to go above and beyond, and will do our best to make sure you never go without the AC (or heat) that you need. Give us a call and we will take care of you! Humidity is a common topic here in Florida, as we typically have a higher-than-average level of moisture in the air, and we enjoy the benefits of not having dry air like our northern neighbors battle on a regular basis. 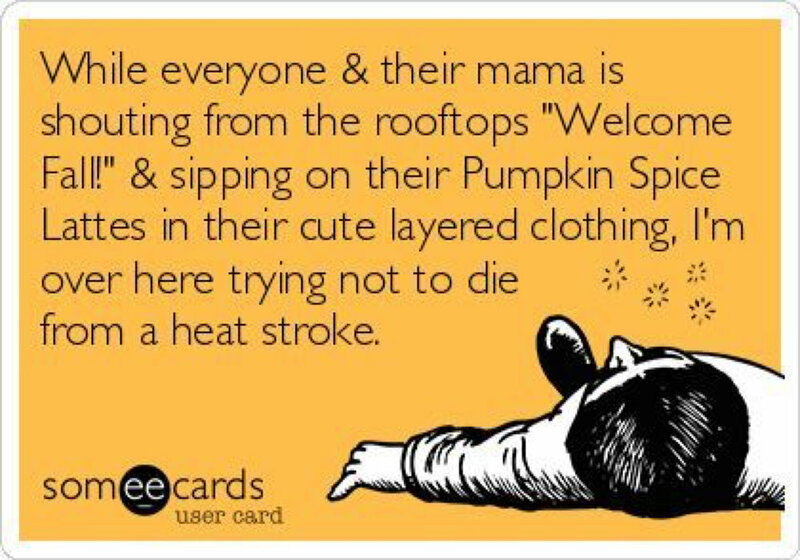 However, the recent cold snap here in the Sunshine State has many of us running for blankets, stored-away jackets, and perhaps the humidifier our grandmother used when we had colds. Why are humidifiers so helpful during cold weather? Better health and shorter recovery. Studies show that viruses and bacteria can't travel as well in moist air, which means your household stays healthier during the cold and flu months. Additionally, moist air helps your body recover faster, since dry nasal passages and scratchy throats are more easily eliminated. Save money on utilities. Moist air tends to feel warmer than dry air, so instead of continuing to crank your heater up (and spend more $$$), you could invest in a humidifier system to improve the temperature of your home. Improved rest. Sleeping is hard when dry mouth and scratchy throat inhibit you from getting (and staying) comfortable. Dry air doesn't make a restful environment, and a humidifier can be the answer to that problem. While a simple tabletop humidifier from a local drugstore is what people often think of, humidifiers for your home have made a lot of progress in recent years. Whole house humidifiers are one of the best options, especially for those of us in Florida where TOO much humidity can also be a problem. A whole house system is professionally installed to work with your HVAC system and your plumbing to release just the right amount of moisture into the air when needed, without overdoing it and causing problems of the other extreme (like mold and moisture damage). A whole house system can save you money because it lasts long-term, monitors the moisture levels and reacts accordingly, and works alongside your existing systems instead of inhibiting their efficiency. Ridge Energy Savers Inc. is here to handle ALL of your HVAC needs, from simple repair and maintenance jobs, to full purchase and installation of systems. We serve the greater Polk County community, and our emergency service means we are never too far away to help. For your next HVAC emergency, remember to call Ridge to the Rescue! Allergies are currently wreaking havoc on many Central Florida residents right now, thanks to the plentiful summer grasses and pollens. Sneezing, itchy eyes, scratch throat, and runny nose are just a few of the unpleasant symptoms being enjoyed by people throughout Polk County, and when paired with the excessive heat we’ve been experiencing recently, it makes for a very unenjoyable summer. While we can’t do anything about the conditions outside your home, we can help with your indoor environment. Here are a few tips to help you keep the allergens outside where they belong and make your home allergy-friendly for you and anyone else who comes your way. Check sealing around doors and windows. These wear out over time, and lead to spaces that not only let your cool air out (and hot air in) but also let in dust, dirt, pollen, and even curious bugs. Replace sealing as needed to keep your home cool AND free of allergens. Invest in a vacuum with a good filtration system. As you’re cleaning, you don’t want the dirt and dust you pull out of carpets and furniture to be redistributed into the air of your home. A vacuum with a HEPA filter (and/or special allergy-friendly filtration systems) will keep dust in the canister where it belongs, and leave your air clean. Vacuum often. Speaking of vacuuming, do it often! Carpets, rugs, furniture, and curtains are notorious for holding onto dust and allergens. Vacuum often, and take out rugs, curtains, and other removable fabrics to be shaken and/or laundered periodically. Use cleaning cloths that hold onto dust and dirt. When you wipe down surfaces, don’t just spread dust from point A to point B. Invest in good cleaning solutions that hold onto dust and dirt and allow you to launder them and send the allergens out of your home where they belong. Additionally, when cleaning, look for products that are allergy friendly and free of heavy perfumes or aerosols that can further aggravate the respiratory systems of those who suffer from allergy symptoms. Don’t forget accessories! Computer systems and televisions, fans, and even books can hold onto dust and aggravate allergies if not cleaned occasionally. The best way to cut down on allergies in your home? Make sure your air filter is replaced regularly, and your HVAC system is running at its best. When your AC is struggling, your air quality will suffer and so will you. Ridge Energy Savers Inc. offers routine maintenance on your HVAC system, including filter replacements. Let us do the hard work for you, and help you keep your home allergy-friendly all year long. Summer nights bring all kinds of things to mind, like evenings spent on porches with friends, catching fireflies, enjoying homemade ice cream, and, if you’re here in Central Florida…extra-large mosquitoes and spending bedtime uncomfortable, sweaty, and sticky. Sounds great, right? While we are kidding (partially) about the joys of summer nights in Florida, the reality is that without your AC unit, nights would be pretty miserable. If your AC has gone out at nighttime before, and you’ve had to endure the night without its help, you probably have some pretty unpleasant memories of tossing and turning trying to find a cool, comfortable spot on the bed but none was to be found. While nothing replaces the comfort of an AC system during the heat here in Florida, there are ways you can manage when the temperatures soar inside AND outside your home. Bring in reinforcements. Hot water bottles make great ice packs to keep yourself cool in bed. Opt to place them near your feet, or at pulse points, to get maximum benefit. A sock filled with rice and chilled in the freezer for an hour or two also makes a great ice pack in a pinch. Head to bed prepared. Taking a shower right before bed using tepid water is a great way to lower your core body temperature. Sleep in lightweight, breathable cotton clothing like shorts and a loose t-shirt to wick away moisture and enjoy airflow. Make the most of your fan. 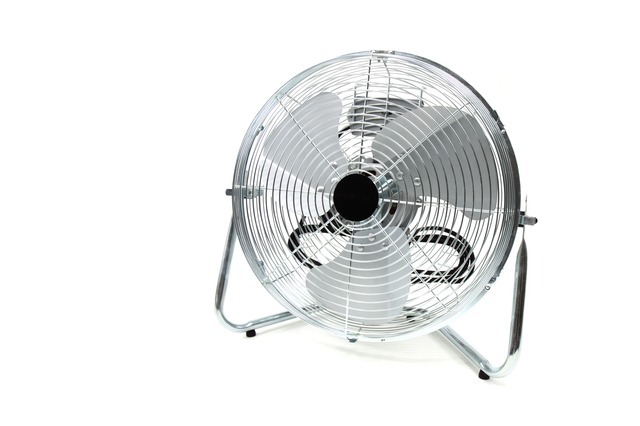 If you have a fan (or two) you can help it reach maximum cooling power by placing it in front of an open window to pump hot air out of the room and help bring down the temp. Another tip? Hang a wet sheet over an open window to help cool airflow coming through, or place a pan of ice in front of your fan to blow a cool mist over you while you try to fall asleep. The best way to survive summer nights? Don’t go without your AC in the first place! Ridge Energy Savers Inc. offers emergency services, so as long as you give us a call, you’ll be enjoying your cool air again in no time. Don’t sit around waiting in the heat for a standard repair service. Call us next time you’re in need, and let Ridge come to the rescue! Because of our extreme temperatures and constant need for cooling our homes, we continually discuss how important routine maintenance and prompt repair are for your AC system here at Ridge Energy. While we are proud to provide these services for the greater Polk County area, we can’t keep your AC running at its best on our own. You have to invest some of your own time and energy into keeping your system functioning, and while it’s not hard to do, it is hard to remember to put on your to-do list when life gets crazy. We thought you might appreciate this handy reminder list of things to do for your AC all year long. Copy it and print it out, stick it in your planner or on your fridge, and make it easy to remember to care for your AC this summer! Change your air filter often. Preferably, you should change your filter every month. While some filters boast of a 3 month or more lifespan, it’s actually healthier for you AND for your AC system if you opt for the cheaper filters and just take the time to change them each month. This helps keep your air cleaner, and your AC functioning better. Clear any debris and/or yard growth away from your outdoor AC unit. Overgrowth can lead to issues with your unit. When you are already outside mowing your lawn, go ahead and take a few extra minutes to trim around your AC unit. Grass, weeds, and shrubs can crowd in on your AC, and that can lead to problems over time. Dust off any cobwebs or debris that might have fallen on it since the last cleaning too! Clean the indoor grates. The metal grate that covers your AC filter, and the grates that cover the ductwork leading into each room, are a gathering place for dust and dirt. Periodically dust them, and if they are easily removed, take them outside and hose them down. This will improve the air quality throughout your home! Of course, these simple routine tips aren’t all your AC needs to be functioning at its highest capacity. HVAC systems need annual inspections of their various parts and a thorough internal cleaning as well. Ridge Energy Savers can take care of that for you! If your AC unit is on the fritz, don’t suffer in the heat! We provide emergency AC repair services to the greater Winter Haven area of Central Florida. We’ll make sure you keep your cool, so give us a call! Reducing humidity in your house means you will not only be more comfortable, but you will mitigate many of these risks. With a few simple measures you can help maintain the proper moisture level in your home, and lower the humidity. How? First, ventilate, ventilate, ventilate. Ever gone camping? Even in mild temperatures, the temp inside a tent can rise quickly if you have the windows shut, and you’ll notice moisture developing inside the tent walls. By opening the windows, you release the water vapor being released by your own breathing, and you’ll notice that the temperature not only seems much cooler inside, but drier as well! The same concept applies to your house. Moisture will accumulate inside if you don’t have proper ventilation, especially in areas like kitchens, bathrooms, and even laundry rooms. Use vent fans whenever possible, and in bathrooms, leave them running for a period of time after taking a shower to help remove moisture remaining in the air. Don’t have vent fans? Crack windows near the area to let moisture out, and consider placing a regular fan in the path of the doorway to pump air (and water vapor) out. Also, avoid adding to the humidity in your home when possible. For example, instead of a long, hot shower, aim for a short, cooler shower instead. Instead of using your dishwasher for a small load, hand wash your dishes instead to avoid the humidity released as the washer runs. Even small decisions such as these can have a big impact! Also reduce the number of houseplants in your home, or opt for plants that pull their water from the air around them. ALL plants release water into the air, but some are better than others for keeping the humidity down in your home. Another fun tip? Send your kids out to play! Each person emits approximately 1/4 cup of water each hour simply by breathing. Fewer people in the house means less moisture in the air! Finally, consider investing in a dehumidifier if lesser measures fail to give you the results you want. Investing in this piece of equipment will save you money in the long run if your moisture levels are causing mold, mildew, and rot issues in your home. The cost of repairs and renovations that this could lead to are much higher than what a small dehumidifier for your bathroom or basement will be. 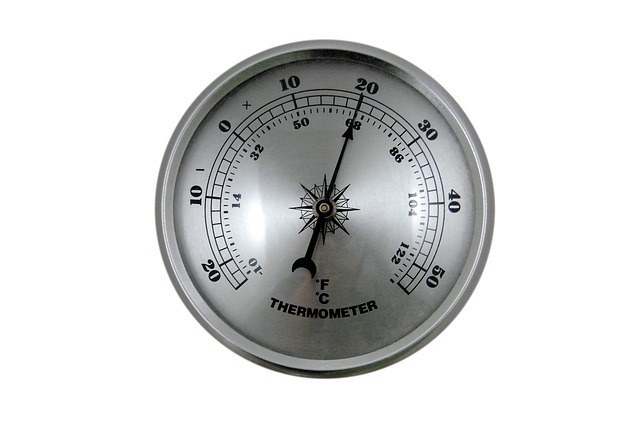 Another important piece of equipment for managing the temperature and humidity levels in your home? Your HVAC system. Maintaining the indoor temperature relative to the outside temperature is vital in keeping humidity levels where they should be. Your air conditioner and/or heater play a huge role in this process. Failure to maintain them and letting them falter will not only mean a VERY uncomfortable environment for you, but will also cause moisture issues like those we mentioned above. Prevent this from happening by scheduling routine maintenance of your HVAC system. For residents in and around the Polk County area, Ridge Energy Savers is here for you! We offer emergency repair services, as well as maintenance and cleaning on HVAC systems. Schedule your appointment today before our Florida summer temperatures arrive!